On 23 June 2016, the UK will hold a referendum on whether to remain part of the EU. Suppose the UK votes to leave the EU. What happens next? Unfortunately, no one knows. A vote to remain in the EU would be a vote to maintain the status quo. But a vote in favour of Brexit would be a leap into the unknown. Leaving the EU would not mean Britain could wash its hands of dealing with the rest of Europe. As UK Prime Minister David Cameron noted in his 2013 Bloomberg speech committing the Conservative Party to holding a referendum, “If we leave the EU, we cannot of course leave Europe. It will remain for many years our biggest market, and forever our geographical neighbourhood” (Cameron 2013). Yet neither the government nor the campaign to leave the EU has put forward concrete proposals for what comes after Brexit. In a recent report (Dhingra and Sampson 2016), we shed light on the possible aftermath of Brexit by considering the options for Britain outside the EU and analysing the costs and benefits of each alternative. In the event of Brexit, the UK and the EU would need to make decisions in five main areas. First, what happens to UK citizens and businesses resident in the EU and to EU citizens and businesses resident in the UK? Second, how would UK law be changed in areas covered by EU legislation? Third, what policies would the UK adopt in areas that currently fall under the authority of the EU. Of particular importance would be regional and agricultural policies since these are the biggest components of the EU budget. Fourth, would there be a transition period during which the UK’s rights and obligations as an EU member are gradually phased out or would the change happen abruptly? Fifth, and probably most importantly, what would be the future of Britain’s relationship with the EU. Would free trade between Britain and the EU continue? 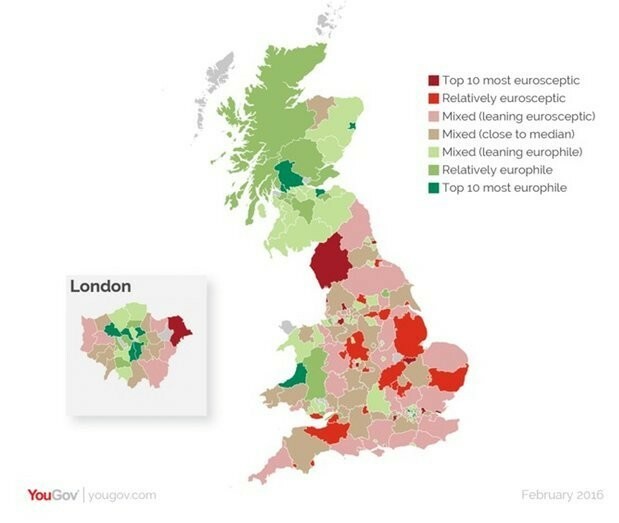 Would labour mobility between Britain and the EU continue? Would British companies continue to have the right to establish subsidiaries and do business in the EU? The key trade-off Britain would face outside the EU would be the same trade-off that has always dominated Britain’s European policy. There are economic benefits from integration, but obtaining these benefits comes at the political cost of giving up sovereignty over certain decisions. Inside or outside the EU, this trade-off is inescapable. The different options described below provide alternative ways of resolving this trade-off. The European Economic Area (EEA) comprises all members of the EU together with Norway, Iceland and Liechtenstein. EEA members are part of the European Single Market, meaning there is free movement of goods, services, people and capital within the EEA, but EEA membership does not require deeper political integration. Research on the consequences of leaving the EU finds that, although Brexit would undoubtedly harm the UK’s economy, the cost is smaller when the UK remains more economically integrated with the EU (Ottaviano et al. 2014). Are there downsides to the EEA? Yes. Non-EU members of the EEA must accept and implement EU legislation governing the Single Market without having any part in deciding the legislation. Therefore, leaving the EU to join the EEA would reduce the UK’s control over economic policy. Also, EEA members such as Norway do not belong to the EU’s customs union. Consequently, Norwegian exports must satisfy rules of origin requirements in order to enter the EU duty free and the EU can use anti-dumping measures to restrict imports from Norway, as occurred in 2006 when the EU imposed a 16% tariff on imports of Norwegian salmon. Finally, EEA members effectively pay a fee to be part of the Single Market. In 2011 Norway’s contribution to the EU budget was £106 per capita, only 17% lower than the UK’s net contribution of £128 per capita (House of Commons 2013). Becoming part of the EEA would not generate substantial fiscal savings for the UK. Switzerland is not a member of the EU or the EEA. Instead, it has negotiated a series of bilateral treaties under which it adopts EU policies in specific areas such as insurance, air traffic, pensions and fraud prevention, among many others. The bilateral treaty approach allows Switzerland the flexibility to choose which EU initiatives it wishes to participate in. Through European Free Trade Association (EFTA) membership and an agreement covering technical barriers to trade, Switzerland has achieved a similar level of goods market integration with the EU as EEA countries. Currently, there is also free movement of people between Switzerland and the EU. In return for its participation in EU programmes, Switzerland must adopt EU policies and legislation, meaning Switzerland also trades integration for sovereignty. Switzerland and the EU have not reached a comprehensive agreement covering trade in services. Consequently, Swiss financial institutions often serve the EU market through subsidiaries based in London. Like the EEA countries, Switzerland makes a financial contribution to the EU, which in recent years has averaged around £53 per capita, 60% lower than the UK’s net contribution per capita (House of Commons 2013). Overall, it is likely that the Swiss model would result in less economic integration between Britain and the EU than EEA membership leading to higher economic costs of Brexit. If Britain leaves the EU without putting in place any alternative arrangements, then Britain’s trade with both the EU and almost all the rest of the world would be governed by the WTO. As a WTO member, Britain’s exports to the EU and other WTO members would be subject to the importing countries’ most-favoured nation tariffs. Britain’s services trade would also be subject to WTO rules. Since the WTO has made far less progress than the EU in liberalising trade in services, this would mean reduced access to EU markets for UK service producers. The WTO has no provisions for free movement of labour, so under this scenario free labour mobility between Britain and the EU would cease. After leaving the EU, Britain would no longer be bound by the EU’s common trade policy, but could set its own import tariffs. Since the average tariff charged on imports to the EU is only 1% (World Bank 2015), there is limited scope for further tariff reductions. There is also limited scope to lower non-tariff barriers through unilateral action since reducing non-tariff barriers often requires international agreement to harmonise policies. Following Brexit, the UK would be free to negotiate trade agreements with countries outside Europe. But since the UK is a much smaller market than the EU, it would have less bargaining power in trade negotiations than the EU has. Whether the benefits from greater autonomy in trade negotiations would outweigh the costs from reduced bargaining power is hard to predict. And whatever agreements Britain reaches with countries outside Europe, the most important decision facing the UK would still be its relations with its largest trading partner, the EU. The pay-off for the lack of economic integration provided by the WTO would be greater sovereignty over economic policy and regulation. Being outside of the Single Market could enable the UK government to better adapt economic policy to Britain’s needs. However, any divergence in regulation between Britain and the EU would also act as a non-tariff barrier to trade and raise the cost of doing business with Europe. The OECD has found that, even as a member of the Single Market, Britain’s labour and product markets are substantially less regulated and more flexible than those of other EU countries (Koske et al. 2015). This implies the Single Market does provide scope for countries to choose the flexibility of economic regulations to suit national preferences. A vote in favour of Brexit will fire the starting gun on a two-year renegotiation of Britain’s place in Europe and the world. This renegotiation could, if Britain opts to cut ties with the rest of Europe, fundamentally change the political, economic, and legal foundations of British life that have built up since the UK joined the EU in 1973. Alternatively, if Britain chooses to remain part of the EEA, the economic and legal changes would be relatively small. During the renegotiation Britain will face an unavoidable trade-off between economic benefits and political sovereignty. The UK benefits from closer economic integration with the EU, but the price for this integration is allowing the EU control over some areas of policy. Leaving the EU will not free Britain from this fundamental trade-off. At present, there is no consensus within the UK over what should follow Brexit. This reflects the fact that all of the alternatives to EU membership have their own drawbacks and would negatively affect the British economy. To make an informed decision about the merits of Brexit, voters need to know more about what would follow Brexit. Cameron, D (2013) EU speech at Bloomberg, 23 January. Dhingra, S and T Sampson (2016) “Life after BREXIT: What are the UK’s options outside the European Union”, Centre for Economic Performance, Brexit Analysis 01. House of Commons (2013) “Leaving the EU”, Research Paper 13/42, 1 July. Koske, I, I Wanner, R Bitetti and O Barbiero (2015) “The 2013 update of the OECD Product Market Regulation Indicators: Policy Insights for OECD and non-OECD Countries”, OECD Economics Department Working Papers, 1200/2015. Ottaviano, G, J P Pessoa, T Sampson and J Van Reenen (2014) “The costs and benefits of leaving the EU”, Centre for Economic Performance, Policy Analysis 016. World Bank (2015) “World Development Indicators”, The World Bank.